I enjoyed this feature on Quartz about the best gifts people have received. It’s not exactly a gift guide. It’s a collection of stories about gifts that have staying power and are worth remembering and talking about long after they’ve been given. I immediately thought about what my answer would be if asked about the best gift I’ve received. Getting set up with the woman who became my wife was the ultimate gift. (Thanks, Gloria, for sending me her name and contact information on the back of that photo. Best gift ever.) And, of course, my two daughters continue to give us joy every day. But if I’m considering just tangible gifts, I immediately think of the camera my parents gave me when I was in ninth grade. They ran a camera shop and portrait studio, and I worked there myself occassionally. I joined the high school yearbook staff and wanted to be a photographer on the staff, but I didn’t have a good camera. 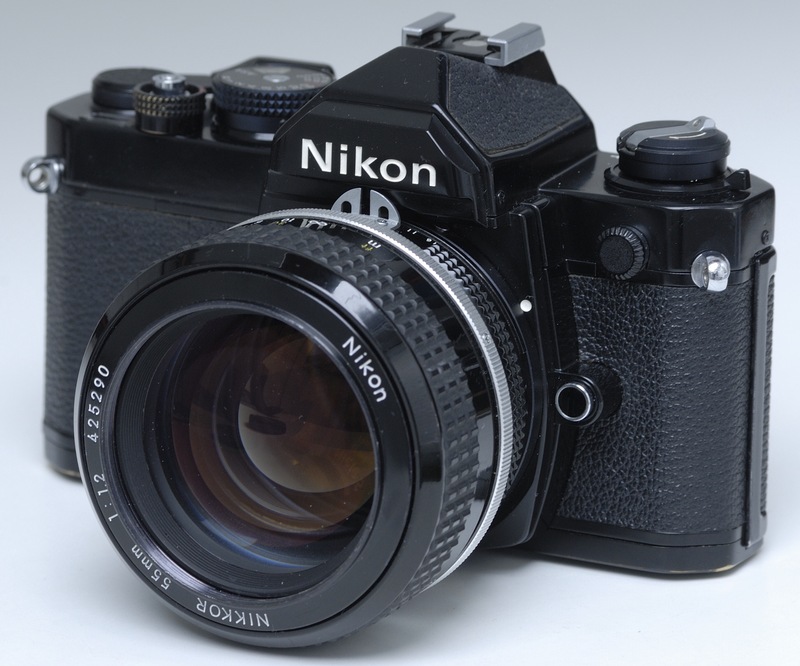 In my dad’s shop I would play with the 35 mm SLRs that were in the display case, and as Christmas approached my dream was to get the Nikon FM. I knew it was the best, but it was so expensive. My parents were facing lean times as they were trying to keep their store in business. I was sure the best camera I could hope for was the much less expensive Pentax K1000. But I was still dreaming of the Nikon. On Christmas morning I picked a present under the tree with my name on it, and my heart sunk. From working in their shop I could tell that the box I was holding was a match for the Pentax’s camera case. I was resigned to getting the Pentax. It was indeed the box for the Pentax camera case, but inside was another present altogether. Socks, I think. My mom had just repurposed a discarded case box from the store. The next present I opened… the Nikon. This was my Red Rider BB gun moment. I was so happy. I can still recall the feel of the Nikon in my hands, the smell of the metal and plastic, wearing the strap around my neck, and eagerly taking pictures (on film, of course) of almost anything remotely interesting on that glorious Christmas morning. That camera was a beautiful thing. It was this sophisticated and solid device made for grown-ups, professionals even, and I was honored my parents thought me worthy of it. I used it for years and still have it, though it is now a nostalgic relic of a lost era of film photography. It’s probably that camera and that Christmas memory that cemented my already burgeoning love for cutting edge gadgets and great things in general. And it’s the feeling of that moment that I hope to occassionally spark for my wife and kids and other family members as I search for gifts for them. What are the best gifts you’ve received? As you search for gifts for others, are you content to just go through the motions and check gifts off your to-do list? Or do you want to go on a quest to find a gift that surprises and delights and makes a memory worth talking about even years later?